Many years back we ran a great article by Bill Jehle on how to identify a humbucker's coil wiring colors and phasing. 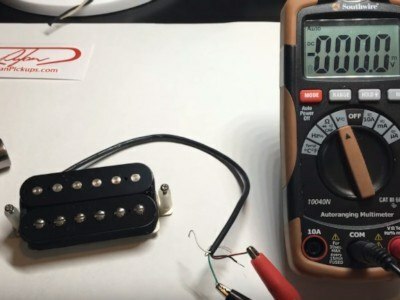 Dylan of Dylan Pickups put together a short and sweet YouTube video demonstrating this idea. The information in Bill's original article is still 100% correct; using his method of drawing out your pickup for visual reference in combination with this video you should have zero problems figuring out those mystery buckers!